Shaft Forks -To suit all pin-type carriages. Lumber and Plywood Forks - Forged heel, square heel, single taper, double taper, with or without Peek-A-Boo back. 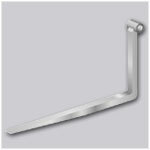 Coil Handling Forks - Blade is contoured to handle coils. Capacity is reduced according to the size of the contour. 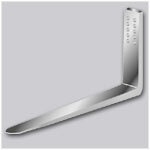 Stainless Steel Clad Forks - For use in highly sanitary applications such as the food and beverage industry. 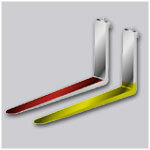 Spark Retardant Forks - For hazardous locations and atmospheres. 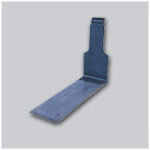 Folding Forks - These forks fold up to enable lift trucks to maneuver in areas where movement is restricted, i.e. elevators.